Emily Wallace is at it again. 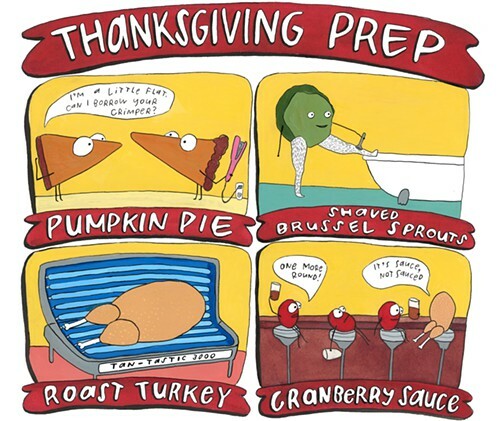 Here's her depiction of all your favorite Thanksgiving food stuffs getting ready for the big day. From the Independent Weekly. See more of Wallace's adorable and witty illustrations here and here.